Dr. Deaton is a highly-sought individual for scientific advisory boards and boards of directors. Most recently, he was the Chief Medical Officer of Endologix. Dr. Deaton devotes one week per month to clinical vascular surgery at the Cleveland Clinic, where he cares for patients and instructs residents and fellows in the Clinic’s Heart and Vascular Institute. Dr. Deaton received a B.A. in Chemistry from Haverford College (1981) and an M.D. from Duke University School of Medicine (1985). He completed his surgical residency and research fellowship at the Hospital of the University of Pennsylvania and his vascular fellowship at UCLA. 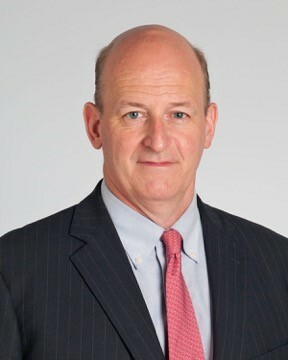 Dr. Deaton has practiced in a variety of private and academic settings, as Chief, Division of Vascular and Endovascular Surgery at MedStar Georgetown University Hospital in Washington, DC and also as Director, Clinical Vascular Research and Founder and Medical Director, Vascular Non-Invasive Laboratory. Dr. Deaton has been involved in the development and evolution of endovascular aortic therapy since 1993. He was a leading investigator in the first US EVAR (EVT/Ancure bifurcated endograft) trial and provided FDA panel testimony for the first approved EVAR device in the United States in 1999. Dr. Deaton served as a primary investigator in the Phase I clinical trials of four different aortic endograft technologies and performed the first-in-man and first US cases using the Aptus device. He has held academic appointments at UCLA, the University of Pennsylvania, East Carolina University and the University of Maryland in addition to his tenure at Georgetown. Dr. Deaton has held leadership positions in several vascular societies, most recently as Chairman of the Political Action Committee of the SVS. His interest in new translational vascular therapies resulted in numerous roles at established and start-up medical device companies over the last 20 years. He has authored both peer and non-peer reviewed articles as well as vascular text chapters throughout his career and has been a speaker and faculty member at roughly 150 meetings in the US and internationally.